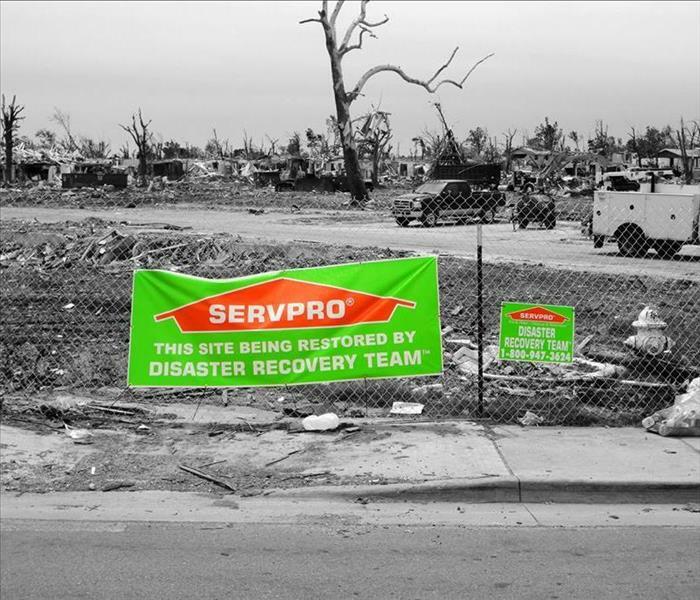 When Disaster Strikes, Call SERVPRO of Carbondale-Marion at (618) 998-8828. He is Chuck Remm (Marketing Manager) picking up our latest addition to our SERVPRO of Carbondale-Marion fleet of vehicles to serve our customers. This baby has a fresh truck mount commercial extraction unit in it ans we will get years of reliable service out of her. Call the cleanup team at (618) 998-8828 if you want reliable fast service with dependable equipment and resources to handle your disaster. This is a interior look at our TEAM WOLFE Mobile Command Center. It has Satellite, HD Flat screens, dining area, bathroom and conference room (shown). She truly is a complete office on wheels ready for deployment to anywhere we are called to. 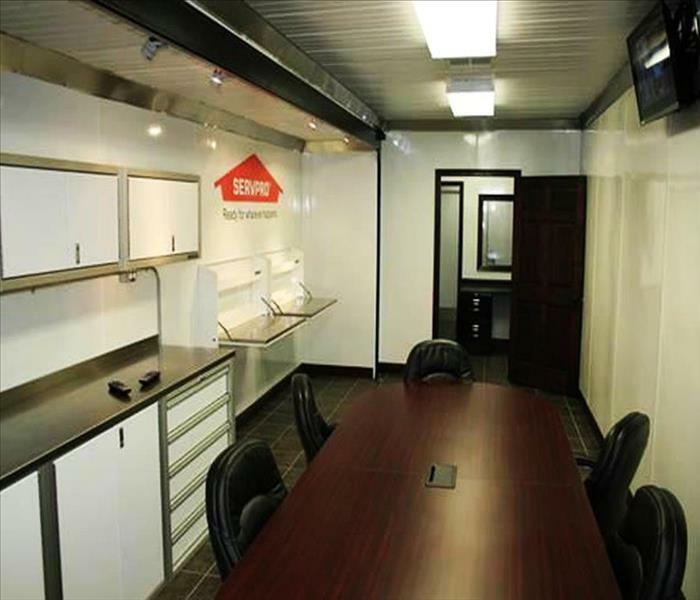 We has our own state of the art Mobile Command Center equipped with Satellite, WI-FI, Bathroom and conference area. We know how to do "mobile" and do it right! When you need onsite management at your loss, be sure and call the Large Loss Specialists that can provide this type of services. This is another one of our Commercial Large Loss fully stocked trailers with Dehus, air-movers and cleaning supplies in front of University of Wisconsin Platteville building. When we travel, we travel with everything we need to complete a large loss job. TEAM WOLFE has got you covered when it comes to large loss restoration needs! We have a large fleet of "Fully Stocked" Large Loss trailers that we can deliver to any size commercial loss. TEAM WOLFE Extreme Team was deployed to Joplin Missouri during an EF-5 category tornado event. We removed tons and tons of debris from many properties to get folks staged for the rebuilding of their homes and businesses in their in the city of Joplin. 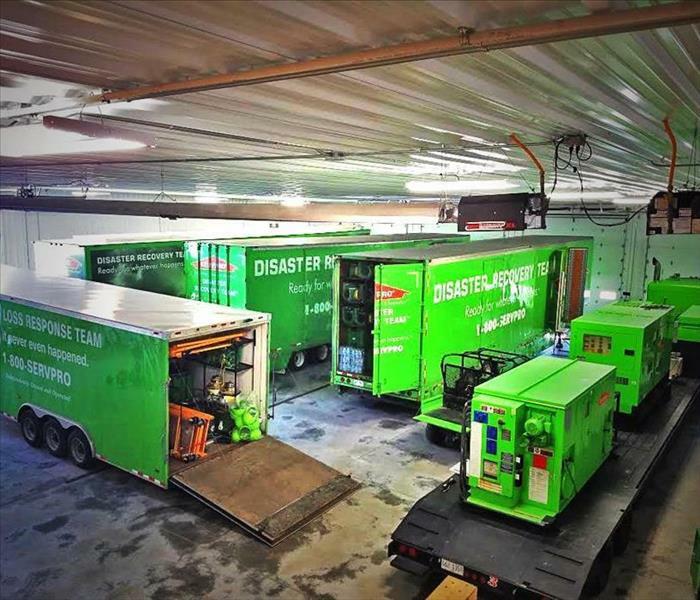 SERVPRO of Carbondale-Marion's Large Loss Division travels with its own power source and comprehensive drying equipment. We can bring specialized equipment like this 15KW Generator and Large trailer mounted Desiccant Combination along with us anywhere we are deployed to. This was a project that our Large Loss Division tackled in Herculaneum, MO. Here you see the tubing being ran through a building from a Trailer Mounted Desiccant which pumps in warm dry air and cycles out the moister in the building. 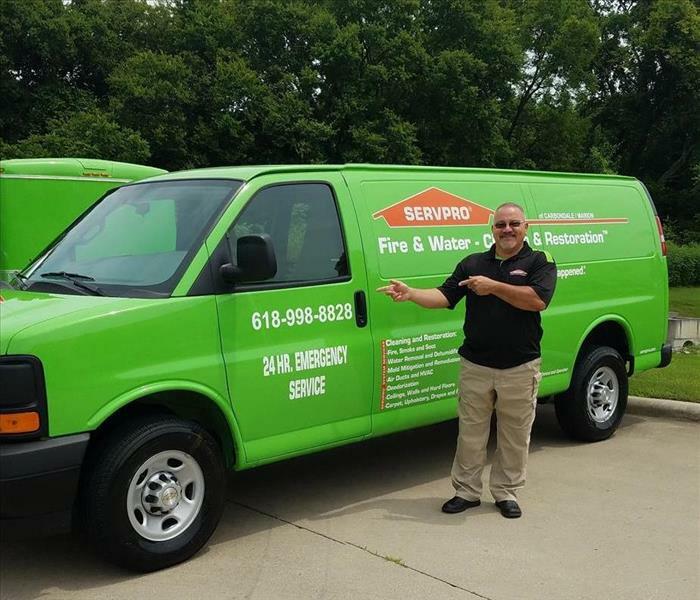 At SERVPRO of Carbondale-Marion, we have the Large Loss resources for absolutely any type of Water, Fire and Smoke damage event. CALL SERVPRO of Carbondale-Marion at (618)998-8828 for all your large loss commercial restoration needs. Ar SERVPRO of Carbondale-Marion, we utiilze special drying restoration processes and techniques to dry out just about anything we encounter. When you absolutely need the best in industry processes, we have your back! CALL SERVPRO of Carbondale-Marion for all your critical drying needs at: (618) 998-8828. 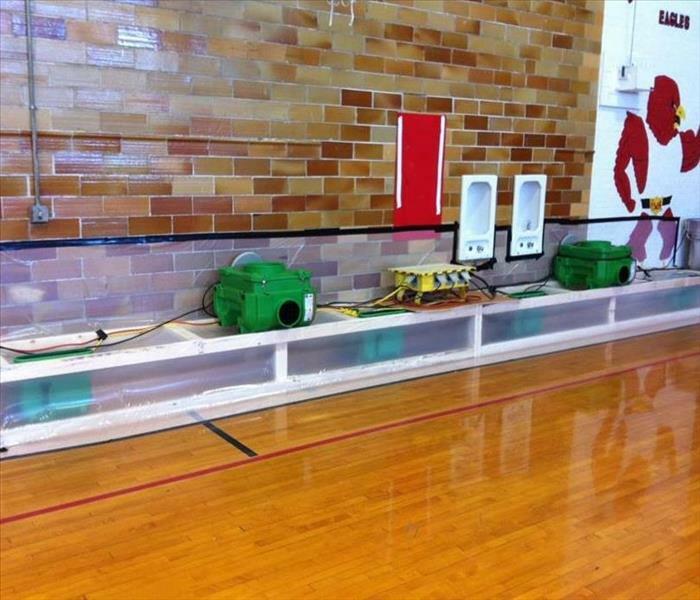 When a flood damages your place of business, you have to act quickly to stop secondary damage like Mold. That's were SERVPRO of Carbondale-Marion comes in to the scenario. Here is a Flood cut we performed from a recent water damage at a strip mall.